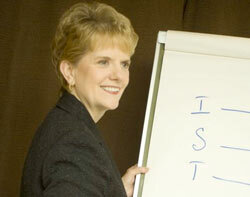 Barbara Glacel is one of the most effective and professional facilitators I have had the pleasure of working with. She learns her customer's business quickly and makes very astute observations about what drives the business. The Glacel Group utilizes a variety of assessment surveys in coaching individuals and teams. Contact us at coach@glacel.com to arrange for assessments.